A System that can be used to monitor and support STEPS (Skills for Tertiary Education Preparatory Studies (STEPS) students from initial enquiry through to course completion and enable communication and student support data to be captured and queried. The STEPS Information Database (SID) will replace an existing Access database and include the conversion of data from the legacy system. The SID will be delivered in a supportable, web-based development environment that is easily accessible by all STEPS staff on all campuses. It will then be integrated with existing corporate systems to prevent duplicate data entry and promote data integrity and include additional functionality that will reduce repetitive work such as bulk email generation. Delivery of a GIT Repository with all source code, package libraries, and SQL routines for full database creation/conversion. Application testing to be performed by the supplier before release to CQU for User Acceptance Testing. Calmon IT to facilitate data conversion on CQU’s production environment via development of ODBC scripts for the MS Access database and these scripts should be repeatable to enable CQU to undertake the final production migration. User Acceptance test plans should be provided and include basic screen shot and functional test data. Development was done using CakePHP, an open source web application framework. It follows the Model-View-Controller (MVC) approach and is written in PHP, modeled after the concepts of Ruby on Rails. First task was to convert the MS Access “database” in to a real Database, mySQL was chose by the Client. Dumping the Access database and generating a PHP script to convert the it to a sql script was a pretty straight forward task. After that, we started following the old STEPS Access Database and replicate the functionality utilising the cakePHP framework and mySQL Database. Once all the functionalities were in place, we started to add new functionalities based on AJAX and new Layout based on a dedicated Bootstrap for cakePHP. The System source code was made available on GIT since the first line of code and checked in every few days. 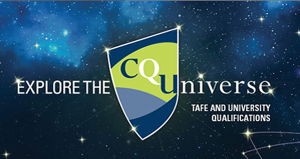 All the process was supervised by CQU. The nest step was the creation of the Test Cases to make sure we met all the requirements requested by the Client. The last step was to Commit all the changes to GIT and get the sign off.